GN Solids Control, a top manufacture of complete line of solids control equipment, manufactures and supplies 1 model of Mini Centrifuge. In this article, we will mainly introduce the knowledge about this model of Mini Decanter Centrifuge. Firstly, we need to know this model of centrifuge is very mini. Compared with the other manufactures in China, the types of centrifuge that GN Solids Control could provide are the most complete, the range is from the max capacity 484GPM to the mini capacity 40GPM. Mostly, the centrifuges with big capacity will be used in the Oil & Gas drilling field, mainly be used for treating the drilling fluids or treating the drilling waste management and the price is expensive. This model of Mini Centrifuge will be mainly used in the industries like “Mining Industry”, “Diamond Core Drilling”, “Industrial waste water treatment”, etc. As in these industries, the needed capacity is small, the Mini Centrifuge could perfectly meet the practical need and it is economical and practical. 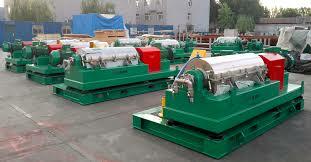 Although it has a small footprint, it is still a high-speed centrifuge. The highest speed is 5000RPM and the cut point is 2-5μm. To the very fine solids particles, they could be perfectly separated out by this mini centrifuge. For treating the industrial waste water, treating the drilling fluids in diamond core drilling, its powerful strength will be showed. l All the electrical components and core parts all adopt the products from world-famous brands to guarantee the equipment quality and stable performance. Such as, the bearing are from SKF/NAG brand, the electrical components are from SIEMENS/SCHINEIDER. 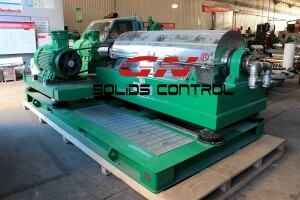 Since established in2007 year, GN Solids Control has always followed the philosophy of “good quality & rational price”. Our Goal and Vision is to manufacture good products and create the value for clients. Finally, if you want to learn more about the mud mixing system manufactured by GN Solids Control, welcome to visit our website and contact us.